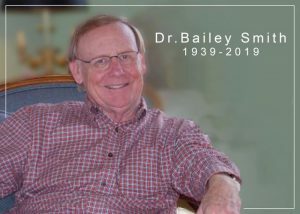 I remember Dr Bailey Smith as a speaker at Liberty University convocation chapel services under Dr Jerry Falwell. What a great man he was! My condolences are with the family as he is absent from the body present with The Lord! Rest In Peace! Dr Bailey Smith.